Meet our Hispanic Access Foundation Interns @ a Refuge near you! We are proud to announce our partnership with the Hispanic Access Foundation in an effort to connect Latino youth with careers in natural resource conservation. The U.S. is projected to become more racially and ethnically diverse in the coming years. According to the U.S. Census Bureau, more than 29 percent of Americans in 2060 are projected to be Hispanic – that’s more than one quarter of the total population! As part of the Service’s Urban Wildlife Conservation Program, interns co-advised by the Hispanic Access Foundation have been placed at seven national wildlife refuges throughout the Northeast, and tasked to reach out to communities near their refuge and organize a conservation-minded event for Latino Conservation Week. Initiated by the Hispanic Access Foundation, Latino Conservation Week (July 16 – 24) is an annual celebration of outdoor recreation and the permanent protection of land, wildlife, water and clean air. Latino communities come together by getting outside to go hiking, camping, or simply by learning about conservation efforts in the communities and participating in activities that protect our natural resources. Our interns will gain hands-on experience in community outreach, interpretation, and conservation, trained by natural resource professionals and mentored by staff from the Hispanic Access Foundation. The ultimate goal is to recruit inspired, skilled, culturally, ethnically and economically diverse young people into natural resources careers. Wilson Andres Acuña @ Assabet River National Wildlife Refuge Wilson, 28, was born and raised in Colombia and moved to the U.S. at age 17. He has completed a Bachelor of Science in biology and environmental studies from Tufts University and will be based at Assabet National Wildlife Refuge in Sudbury, Mass. He currently works as an environmental educator for the Massachusetts Audubon Society and is a member of the visitor services and education staff at the Summer Star Wildlife Sanctuary. Wilson’s assignment at Assabet will involve both public outreach and field work, including educational programming for children, bird surveys, horseshoe crab tagging, and coordinating volunteers . Ariel, 19, is a sophomore at Smith College pursuing a degree in environmental science and policy. She feels passionately about equitable access to the outdoors and wants to learn more about community engagement and conservation field work. Ariel’s assignment will support the refuge biologists, visitor services, and maintenance staff. Ariel will be serving urban communities across four states, including Springfield, Mass. Wallkill serves the greater New York City metropolitan area, but it is in new Jersey. This intern’s assignment is heavily focused on species surveys and invasive species control. He/she will be based out of Great Swamp national Wildlife Refuge in Basking Ridge, NJ. Michael Bonilla @Rhode Island National Wildlife Refuge Complex Michael, 20, is originally from the Dominican Republic. He has a passion for agriculture and has worked in the maintenance of his family farm. Currently, he is a senior at the University of Rhode Island studying environmental and natural resource economics and Spanish. Michael completed an environmental fellowship in 2014 and worked at a research farm with different organic pest control methods. This summer, he will connect the general public with nature by engaging them with arts and education at urban parks in the Providence, R.I. metropolitan area. Ivette, 22, is originally from San José, Calif. but recently graduated from Yale University with a B.S. in geology and geophysics and Spanish. She hopes to engage the public with the importance of conserving Earth’s landscapes for future generations. After this internship, she plans to apply to graduate school and pursue a PhD in geological engineering. Stewart B. McKinney National Wildlife Refuge serves the greater New Haven area, where Ivette will be splitting her time between the Peabody Museum and New Haven Parks. Amber, 22, just graduated from Rutgers University with a B.S. in Landscape Architecture, and is currently pursuing her Masters in the same field. After graduate school, she will focus her career on community engagement and equitable access to green spaces for traditionally underrepresented groups. John Heinz serves the Philadelphia community, where Amber will assess community needs and work with visitor services staff to build educational programming. Patuxent, in Laurel, Md., serves both the Baltimore and Washington, D.C. metropolitan areas. Sabrina, 19, is a Washington D.C. native and a rising junior at Florida International University where she’s pursuing a B.S. in marine biology. She aspires to become a marine mammalogist and would like to focus on dolphin and sea turtle conservation. Sabrina will assist biologists in the field with trail maintenance and invasive species removal. She will also participate in environmental education programs and community outreach. This internship program will last for approximately 12 weeks. For more information, click here. Check back for a recap of our group orientation at the nation’s capital — from Patuxent Research Refuge to the Lincoln Memorial and beyond. This entry was posted in Blog entries, National wildlife refuges, Partnerships, Youth and tagged Hispanic, Hispanic Access Foundation, Latino, Latino Conservation Action Week, Latino Conservation Week, Latino youth, refuges, urban refuge, Urban Wildlife Conservation Program, youth employment on June 17, 2016 by tmlama. Three years ago this week, Hurricane Sandy devastated communities along the Atlantic Coast with record storm surge, fierce winds and torrential rain. Earlier this month Hurricane Joaquin again reminded us of nature’s power, inundating much of the Atlantic Seaboard with heavy rains and chest-deep floodwaters and setting historic records in the Carolinas. And only days ago, Hurricane Patricia — the most powerful tropical cyclone ever measured in the Western Hemisphere with maximum sustained winds of 200 m.p.h. — threatened the coast of Mexico before weakening significantly after landfall. Visit doi.gov/hurricanesandy to learn more about how Department of the Interior investments are helping to build a stronger Atlantic Coast three years after Hurricane Sandy. In this age of uncertainty we have come to expect the unexpected. The science tells us that climate change will cause hurricanes and tropical storms to become more intense — lasting longer, unleashing stronger winds, and causing more damage to coastal ecosystems and communities. The question is, what can we do to help coastal areas stand stronger against the storm? 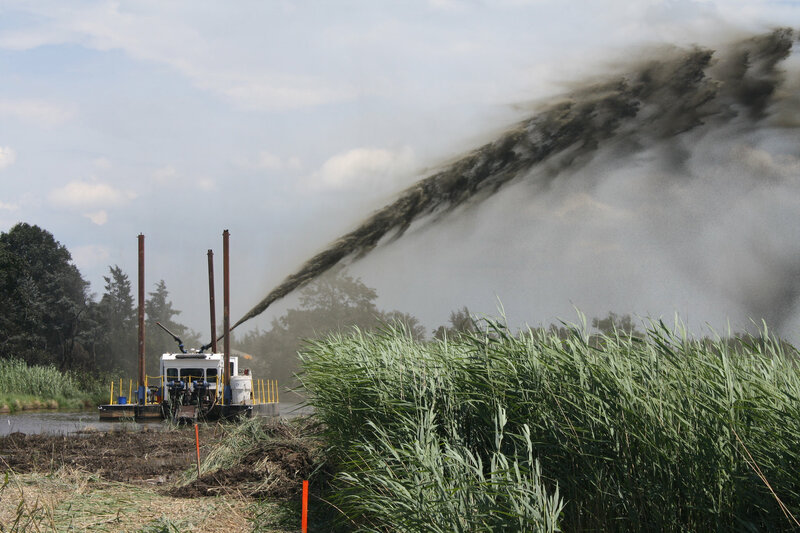 In New Jersey, we’ve completed a $13 million debris removal project at E.B. Forsythe National Wildlife Refuge to clean up more than 32,000 acres of saltmarsh and coastal habitat. The project removed 1,900 tons of debris from 22 miles of coastline and employed more than 100 workers. Removing the debris allows coastal areas to recover, providing healthier habitat for native wildlife while acting as a buffer against future storms. In Maryland, we’re constructing 20,950 feet of living shoreline to protect marshes at Fog Point, a coastal section of Maryland’s Glenn Martin National Wildlife Refuge in Smith Island. The $9 million project will help protect more than 1,000 acres of interior tidal high marsh, sheltered water, submerged aquatic vegetation and clam beds against the effects of future storms. It also will enhance the natural defenses of saltwater habitats important to the island’s soft crab fishery, a natural resource local Smith Island residents depend on for their livelihoods. Learn more about the Fog Point living shoreline project in this video. In Delaware, we’ve invested $38 million in a marsh restoration effort under way to build storm and sea-level rise resilience into the natural landscape at Delaware’s Prime Hook National Wildlife Refuge. The project is repairing breached marshes and reconstructing severely damaged shoreline, including critical dune restoration. Restored marshes at the refuge will provide a more resilient coast against future storms and create additional habitat for birds, including American oystercatchers and federally listed species such as rufa red knots and piping plovers. Along with the restoration of coastal wildlife habitat, the project provides the added benefit of enhanced storm protection for nearby residents. 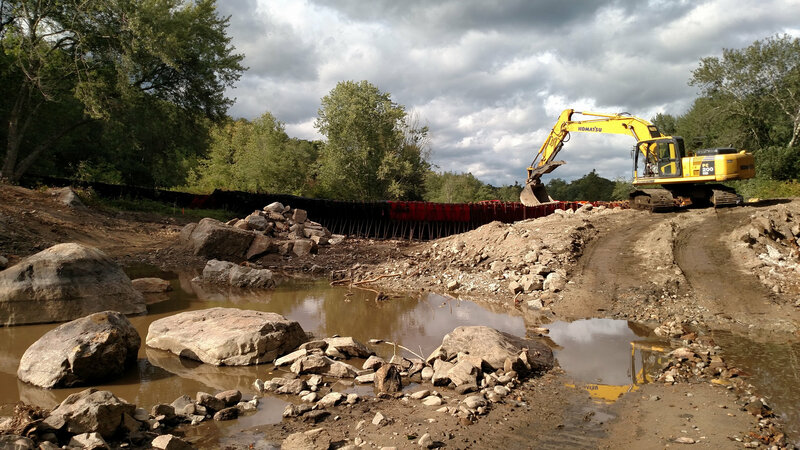 In Connecticut and Rhode Island, we worked with The Nature Conservancy to remove White Rock dam. The $794,000 project will reduce flood risk to local communities, restore habitat for fish and wildlife and open up several dozen miles of fish passage in the Pawcatuck River for the first time in nearly 250 years. It is among 13 Hurricane Sandy-funded projects to remove dams or evaluate them for removal in four states. Three years after Hurricane Sandy, communities, government and nonprofit organizations are working together like never before to better understand and adapt to changing conditions. Clearly it will take time and careful planning before we see a return on many of these investments. 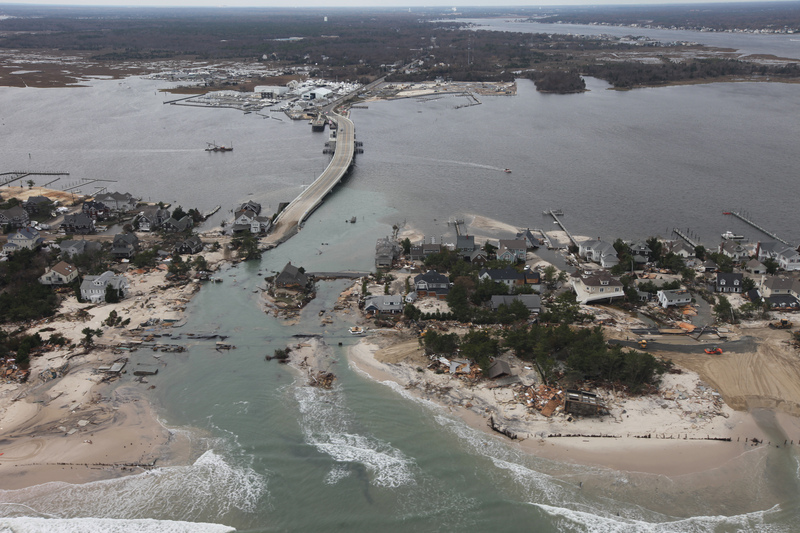 But the Service is confident the long-term benefits of building a stronger coast will far outweigh initial costs when it comes to protecting communities, sustaining wildlife and lessening the financial impact of damages resulting from future intense storms. To that end, we are establishing systems to carefully monitor and evaluate our progress to ensure this work is effective and lasting. The nature we care about and the public we serve deserve no less. This entry was posted in Blog entries, Strong After Sandy and tagged #StrongAfterSandy, anniversary, Beach restoration, climate change, Connecticut, dam removal, Delaware, department of the interior, E. B. Forsythe National Wildlife Refuge, Glenn Martin National Wildlife Refuge, marsh restoration, Maryland, New Jersey, partnerships, Prime Hook National Wildlife Refuge, recovery, refuges, resilience, Smith Island, storm impact, stronger coast, The Nature Conservancy on October 28, 2015 by alirafws. Oct. 29, 2012: Hurricane Sandy knocked out power to an estimated 8.1 million individual locations in 17 states, as far west as Michigan. Outages affected some areas for weeks, and often more remote locations – like those that tend to encompass wildlife refuges – remained without for longer or were forced to rely on whatever backup power generators they had on hand. Power Line damage at Target Rock National Wildlife Refuge on Long Island. Credit: Todd Weston/USFWS. In the New York-New Jersey region, even some facilities that had generators found themselves faced with unexpected challenges like post-hurricane fuel rationing. This lasted an average of two weeks in the metro area and limited power supply, in many cases, to however much fuel had already been stockpiled. U.S. Fish and Wildlife Staff from the Great Swamp National Wildlife Refuge in Basking Ridge, N.J. (only 25 miles from Times Square) found themselves driving as far as Pennsylvania to buy diesel for their generators. Other Fish and Wildlife refuges suffered in darkness for days after the super storm as well, including the Canaan Valley refuge in West Virginia, which was buried in over three feet of wet snow—a condition that did nothing to help keep power lines up in the region. In response to extreme circumstances like those that occurred in the wake of Hurricane Sandy, backup and solar power system installations are planned for 18 U.S. Fish and Wildlife facilities throughout the Northeast region, including 17 refuges and the National Conservation Training Center in Shepardstown, West Virginia. The power projects form a unique subset of the Service’s Sandy recovery efforts—one that focuses keenly on resilience and preparation for projected future storms. They represent a substantial investment by the U.S. Department of the Interior in reliable emergency resources, and reaffirm its commitment to increasing federal facilities’ utilization of renewable energy sources. After initially contracting out design work for a few planned power systems in Massachusetts, New York and New Jersey, Service engineers Mark Orton and Chuck Gess were tapped from within in an effort to speed up design and approval processes and save taxpayer dollars. The decision proved to be a good one, and now the power projects are nearing something of a critical mass, with many locations looking at installation by the summer of 2014. Backup generators and photovoltaic solar power systems will be installed this year at 17 national wildlife refuges and the National Conservation Training Center. According to U.S. Fish and Wildlife Service facility management specialist Kevin Ortyl, sites equipped with backup and solar power proved invaluable in the aftermath of the super storm. Increased use of renewable energy is a priority for the U.S. Fish and Wildlife Service. Credit: USFWS. Photovoltaic (PV) solar power systems also represent an important part of the Service’s mission, he says. In addition to reducing the carbon output of Service facilities, solar PV will also save taxpayer dollars. At the Blackwater National Wildlife Refuge in Cambridge, Maryland, solar PV systems that Mark Orton designed are being installed at two buildings, and between them will save the refuge an estimated $6,210 in annual utility bills. 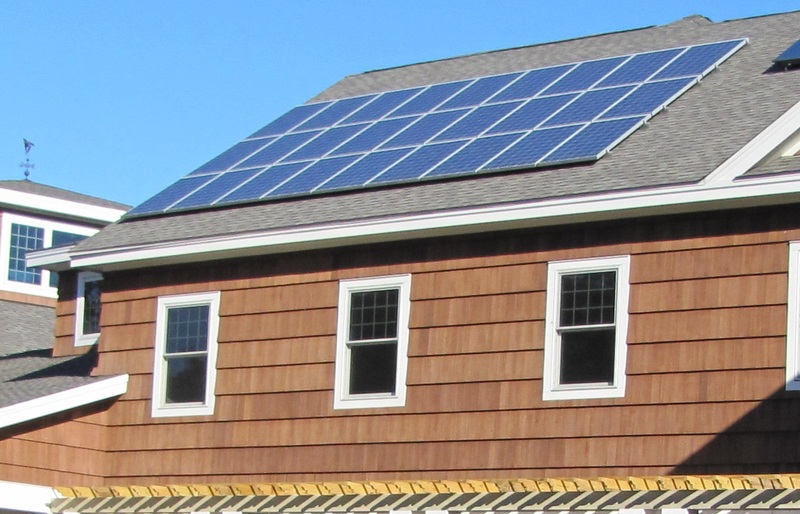 Gess says that the systems he’s been designing will offset 40 percent of a building’s load (on average), though at least one PV system at Rhode Island’s Beane Point will provide 100 percent of its needs and will be totally off-grid. The U.S. 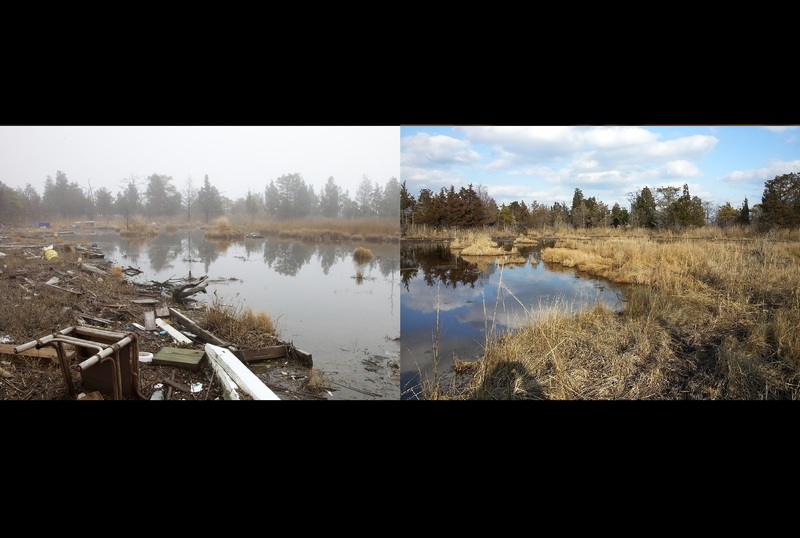 Fish and Wildlife Service has been working to repair and restore public lands on the Atlantic coast since Hurricane Sandy impacted them in October of 2012. 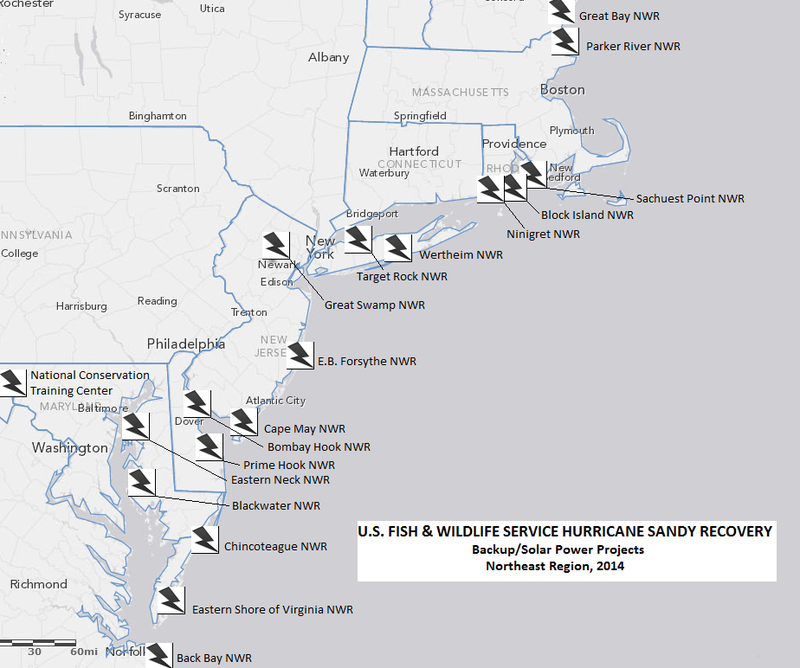 To learn more about the Service’s ongoing efforts to facilitate habitat recovery and build coastal resilience that helps protect communities, please visit http://www.fws.gov/hurricane/sandy. 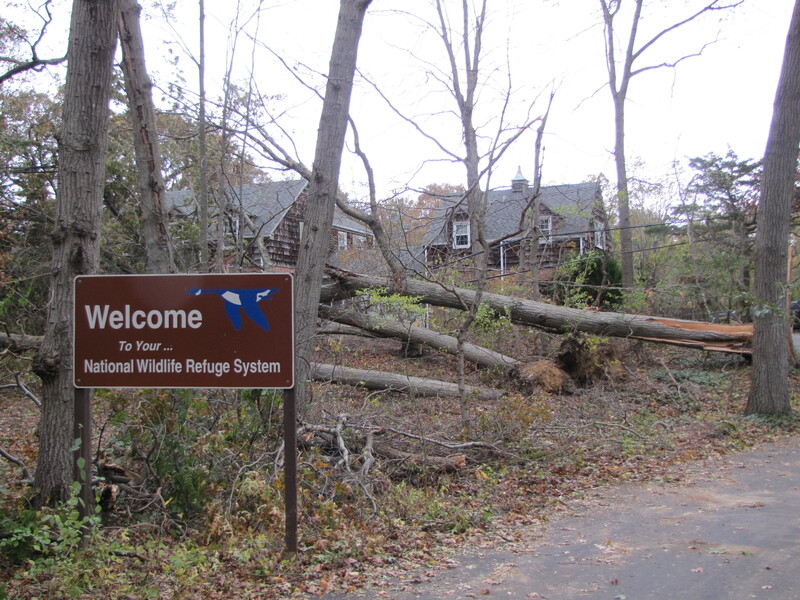 This entry was posted in Coastal Restoration, Energy, Strong After Sandy and tagged #StrongAfterSandy, Hurricane Sandy, Massachusetts, national wildlife refuge, New Jersey, New York, refuge, refuges, renewable energy, resilience, sandy, solar, solar panels, superstorm sandy, usfws, Wildlife refuges on April 24, 2014 by USFWSNORTHEASTBLOG.